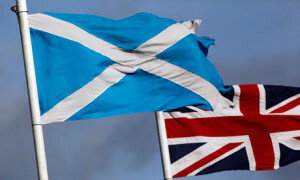 Home » Business and Business Energy News UK » Will Scotland be the EU’s first renewable nation? Will Scotland be the EU’s first renewable nation? We all know that the Scottish are hardy folk. They endure the worst of the rain, wind and snow year after year but still maintain an uncanny resilience to its attempts to disrupt their daily lives. Since the pre-1200s, when the English invaded, the likes of William Wallace used the land of Scotland herself to outsmart and innovate. Scotland is utilising their high hills and as a result are now well on their way to achieving the status of a 100% renewable nation, with 42% of their electricity needs catered for by wind turbines alone. According to Weather Energy, this has resulted in an astronomical one million megawatt hours of electricity being fed into the national grid. Furthermore, Scotland now generates 59.4% of its gross electricity through renewable energy sources – which is an improvement of 9.5% from 2014. Ambitious targets to say the least, but not unachievable. 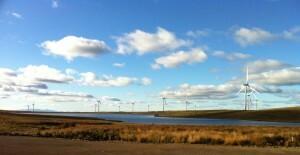 Scottish renewable energy doesn’t just benefit the environment, it also helps the economy. The low carbon and renewable energy sector in Scotland supports over 43,500 jobs. Growth in this area is continuing at a rapid rate, wind generation in Scotland increased by 18% last year and hydropower generation increased by 5%. Scotland has already made massive headway in striving towards ambitious 2020 efficiency targets. In the future, the Scottish Government is proposing 1GW renewable generation targets for community and locally owned power providers by 2020 – They also intend on doubling this target to 2GW by 2030. Businesses and homes alike are jumping at the opportunity to get involved in the latest renewables and consumption reduction techniques so they can effectively manage their usage and prevent waste. Sometimes, knowing where to start the transition to an environmentally friendly business with lower bills can be a challenge so why not begin by comparing electricity suppliers and benefit from ongoing consumption reduction advice and support? Exchange Utility will help your business to start the best gas, electricity and water contracts available whilst offering industry knowledge and advice that’ll save you time, money and has the feel-good factor of helping the environment. Working together, we can secure ambitions to lower Carbon Footprints and costs alike. Start your energy comparison today and see which of the energy suppliers will help your business to save money and potentially help the environment by choosing one of the green energy suppliers.